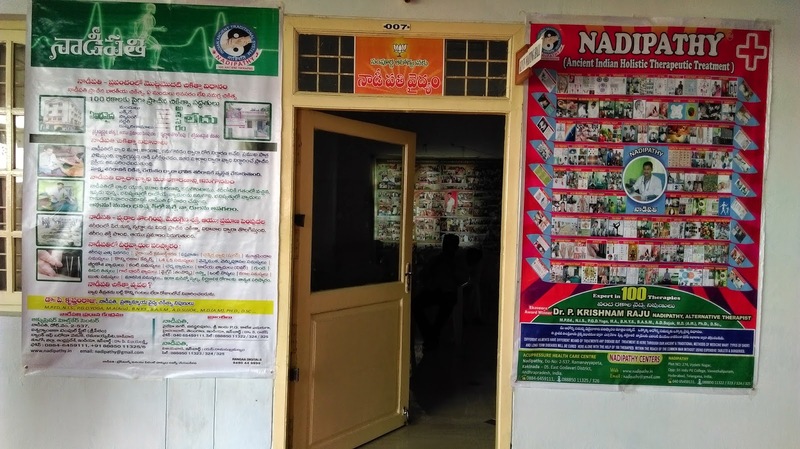 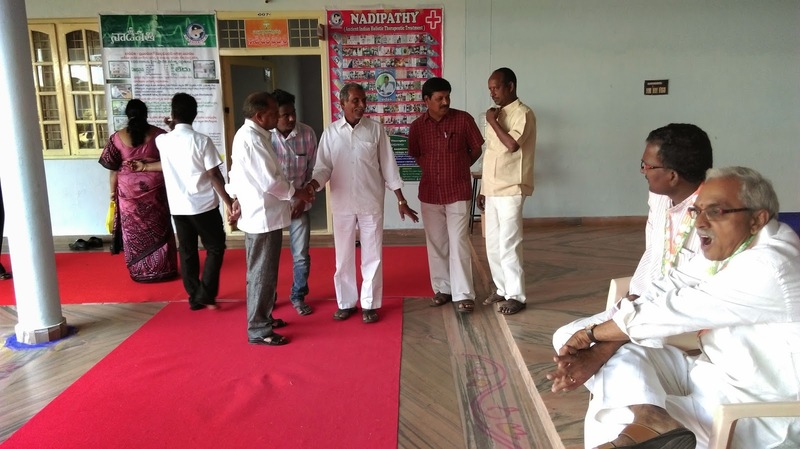 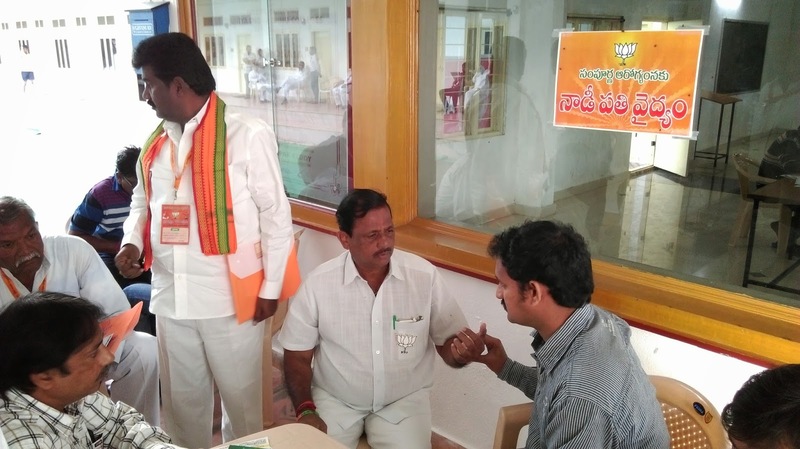 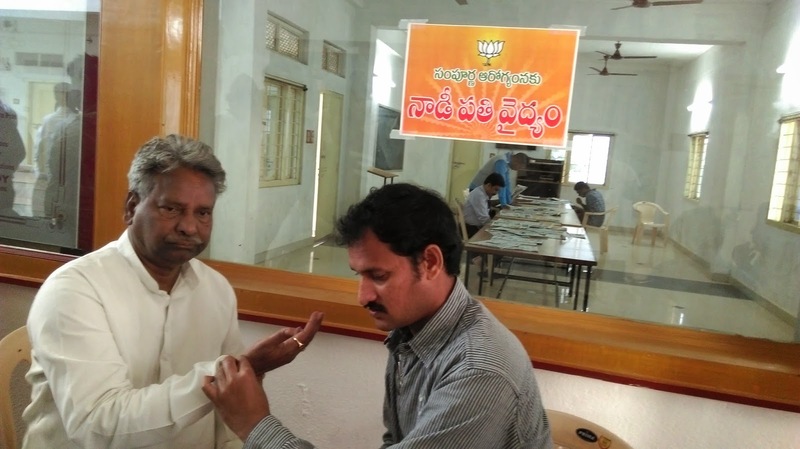 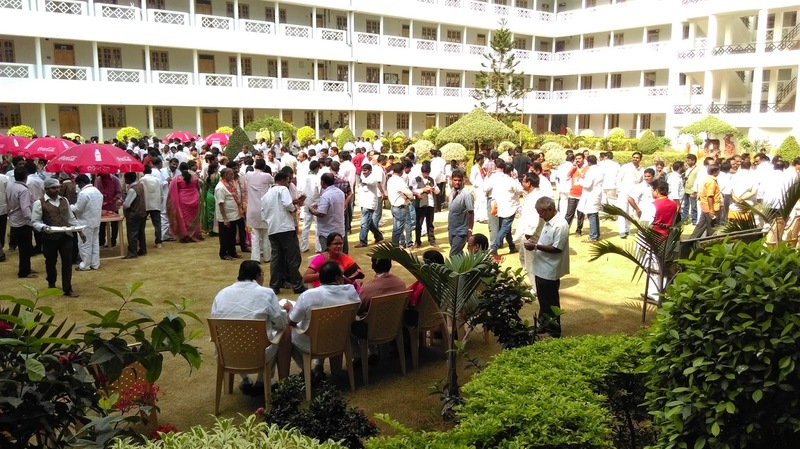 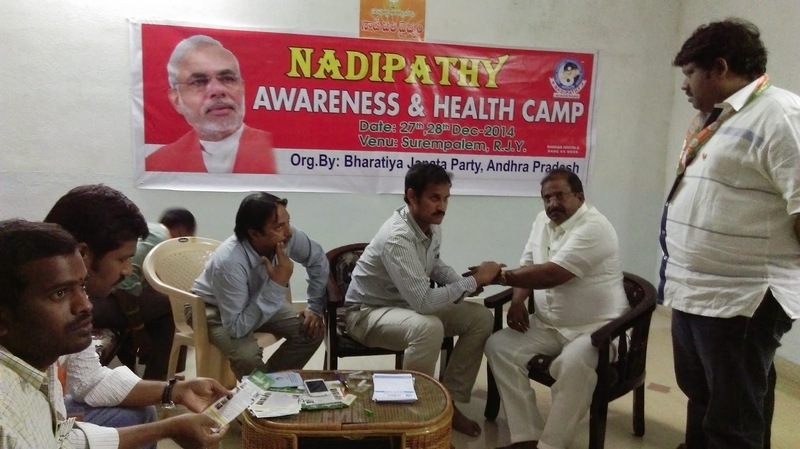 Nadipathy™ Research Foundation , and team has conducted a free heath camp with an encouragement by National political party – BJP, on the occasion of BJP’s training sessions held on 27th,28th Dec 2014. 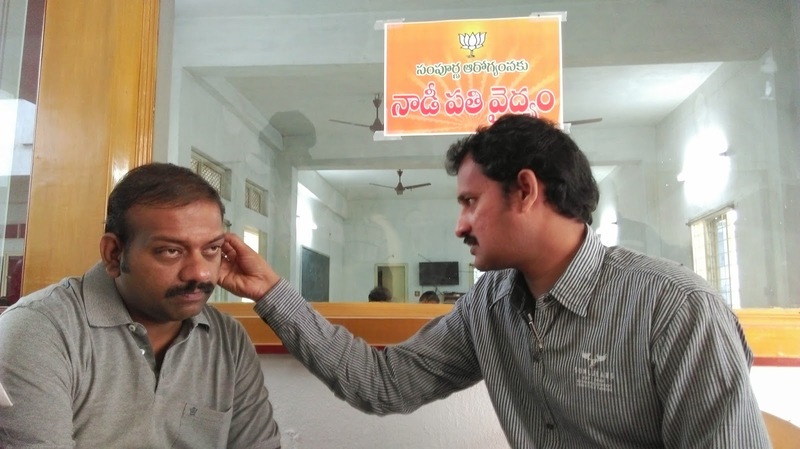 Many politicians ,dignitaries and others had undergone this Nadipathy treatment,and many were surprised to note that they had seen FIRST time this kind of therapeutic treatment without using any medinines. 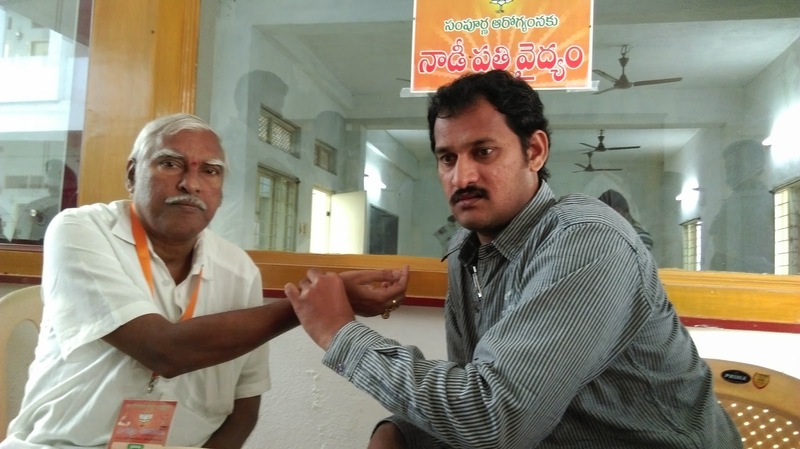 Spekaing at a gathering Dr. Raju had specifically pointed out that this Nadipathy is Ancient Indians Invention and he introduced FIRST time to the World to serve the society without any medicines. 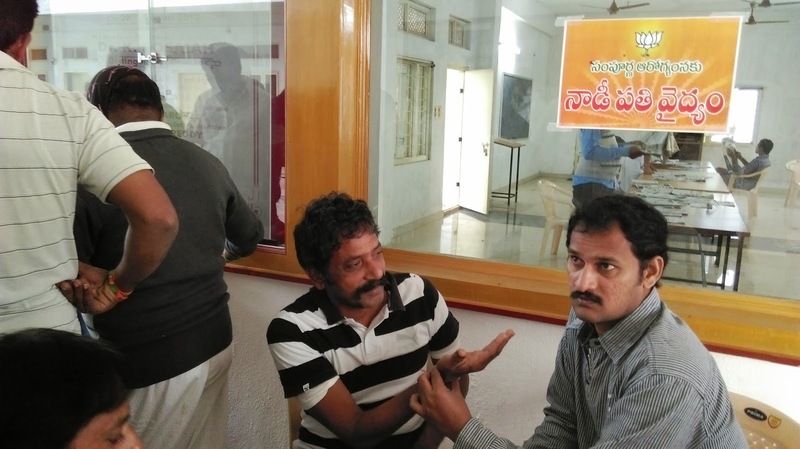 Dr. Raju in a conversation said that he is ready to conduct these kind of Free health camps with Social co operation.